Photos: Nick (unless otherwise noted). 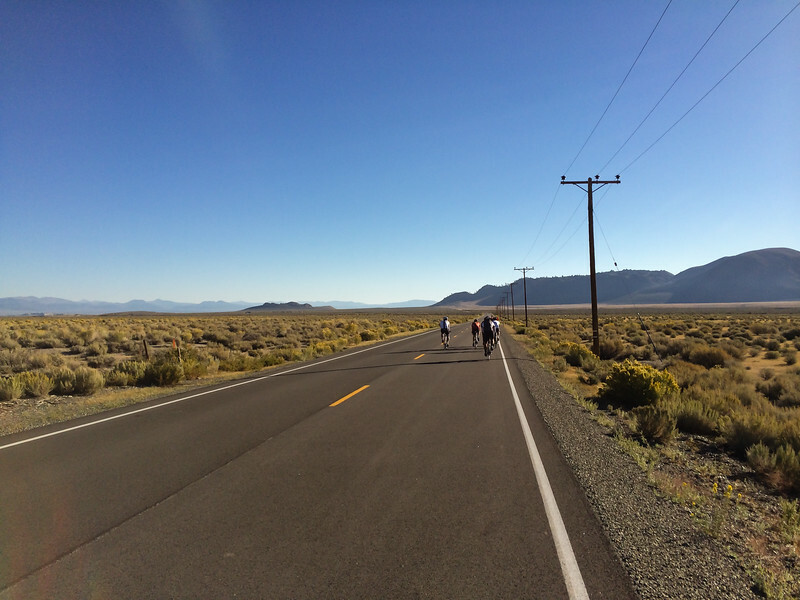 Synopsis: On Saturday, September 6th, I participated in the Mammoth Fall Century Ride, a 102.6 mile ride in the Eastern Sierra with a total of 6,643 feet of elevation gain. I had actually signed up for this ride last year with my friend Pat, but I was unable to attend on account of a work conflict. Fortunately, this year I was able to make it and I had an amazing time. 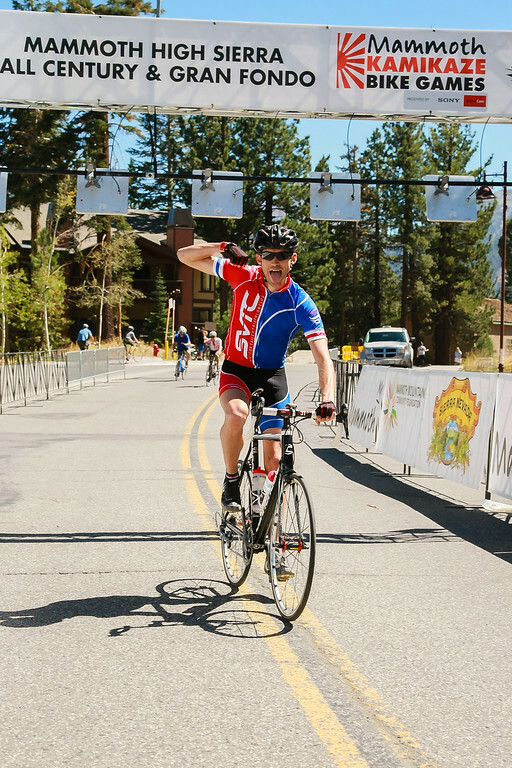 The Mammoth Fall Century Ride is a loop style course that starts at the Village at Mammoth Mountain with an escorted mass start through the town of Mammoth down to highway 395. 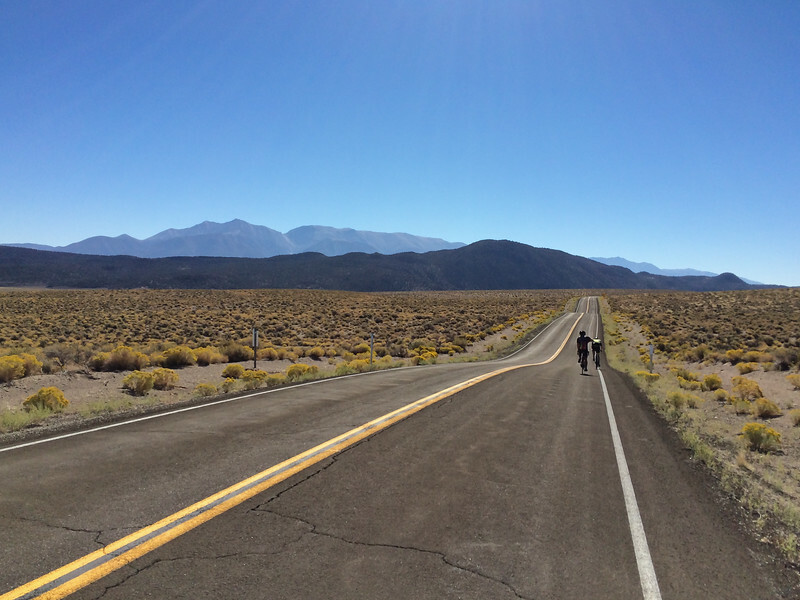 After that, the course heads out east and includes some great climbs on super desolate roads. 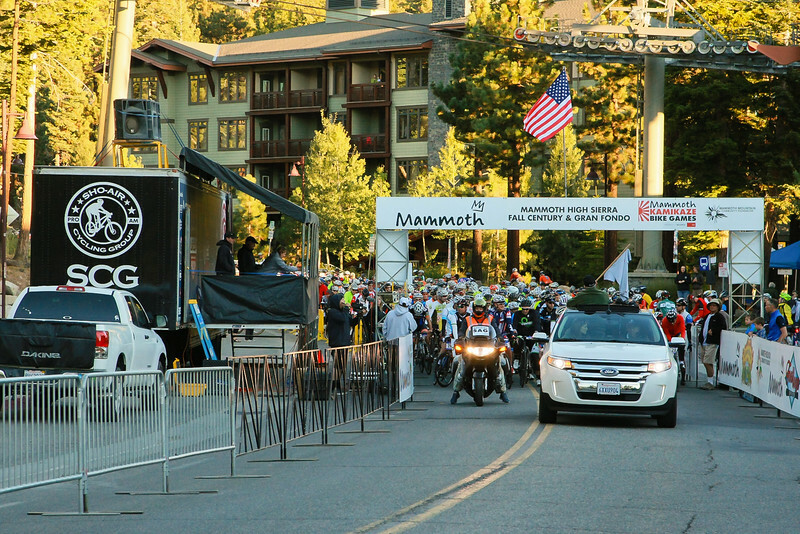 There is only one stop sign on the entire course once you get out of the town of Mammoth Lakes! 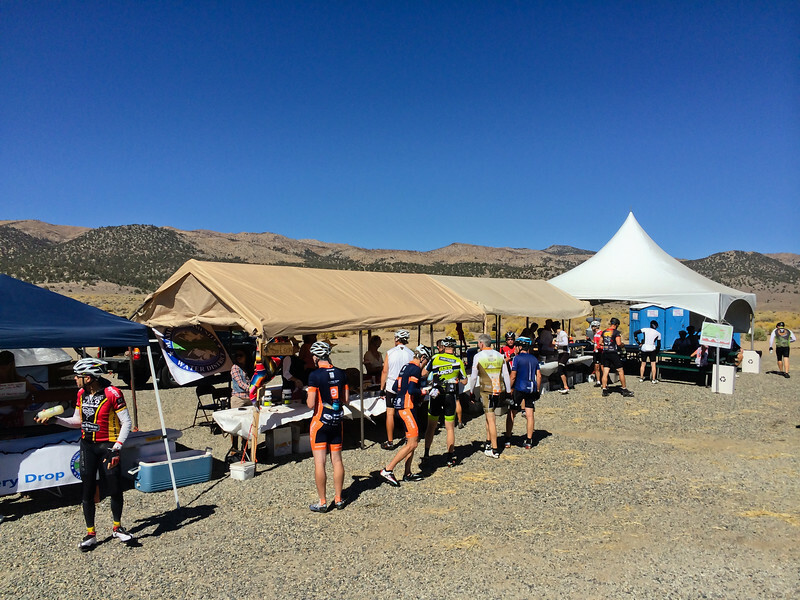 The ride is entirely supported with six aid stations, a lunch stop and full SAG vehicle support. 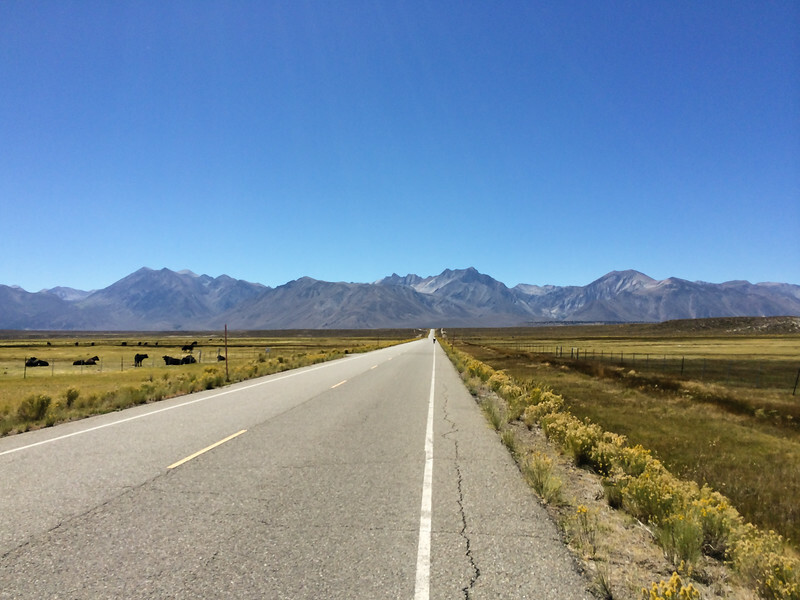 Similar to most areas of the Eastern Sierra, you are in the Sierra Nevada rain shadow so the topography has a high-desert feel, with huge peaks to the West and rolling hills to the East into Nevada. 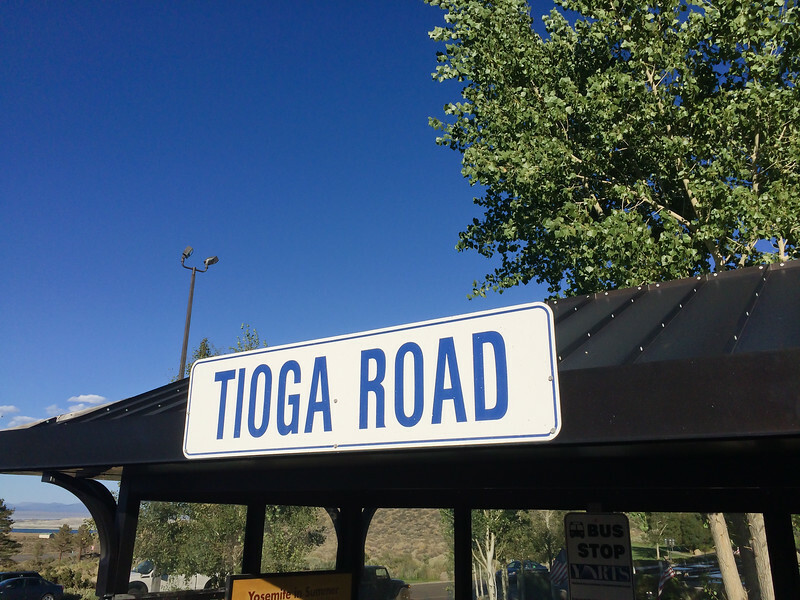 The entire ride takes place between approximately 8,000 feet and 6,400 feet of elevation – meaning the lowest point of the ride is still 200 feet higher than our condo in Tahoe! Here is a link to the century ride map and elevation profile of the course. I drove over from the Bay on Friday before. It was gorgeous and I always love driving on Tioga Pass through Yosemite National Park. I stopped for a quick shot at Olmstead Point looking out towards all the domes and peaks around Tuolumne Meadows, many of which I have climbed including Tenaya Peak, Stately Pleasure Dome, Dozier Dome, Pywiack Dome and Mt. Conness way off in the distance. As a note, all my pictures are with my iPhone as obviously I couldn’t bring a camera on the ride. I cleaned everything up in Lightroom the best I could. 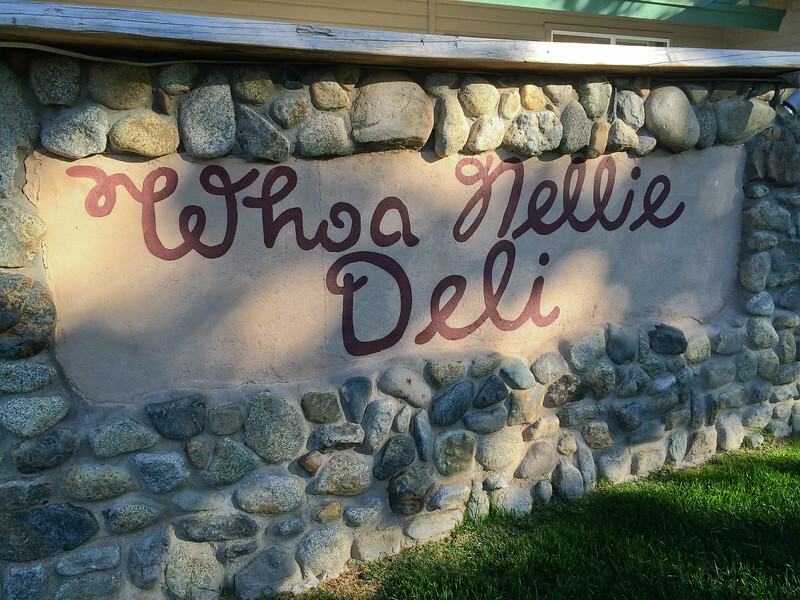 No trip over TIoga Pass to the Eastside would be complete without a stop a Whoa Nellie Deli at Mo-Mart for a beer and some amazing food. 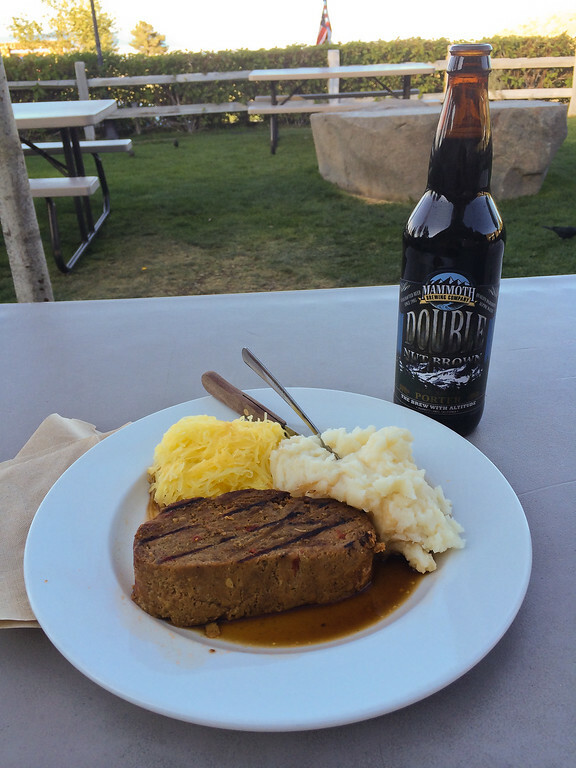 I went with the Buffalo Meatloaf – good fuel for Saturday! 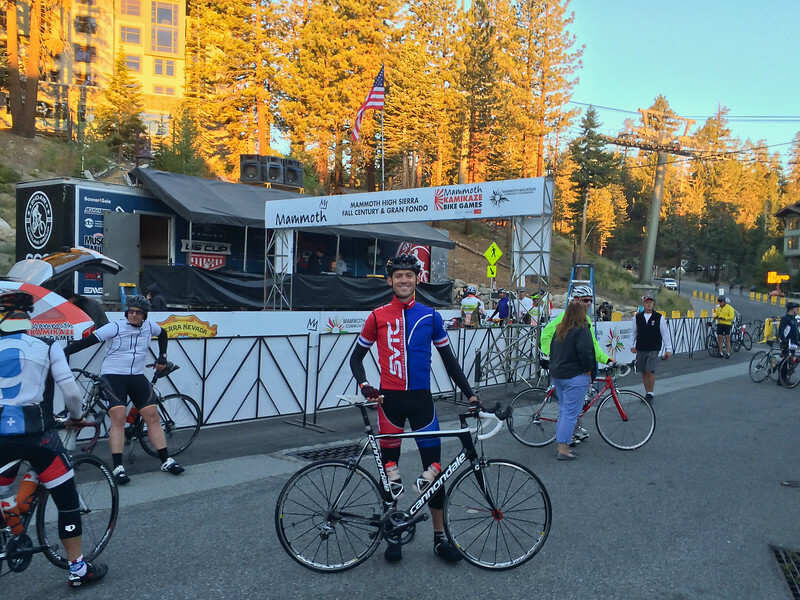 Saturday morning I was up bright and early, as the Grand Fondo & Century Rides started at 7 AM. 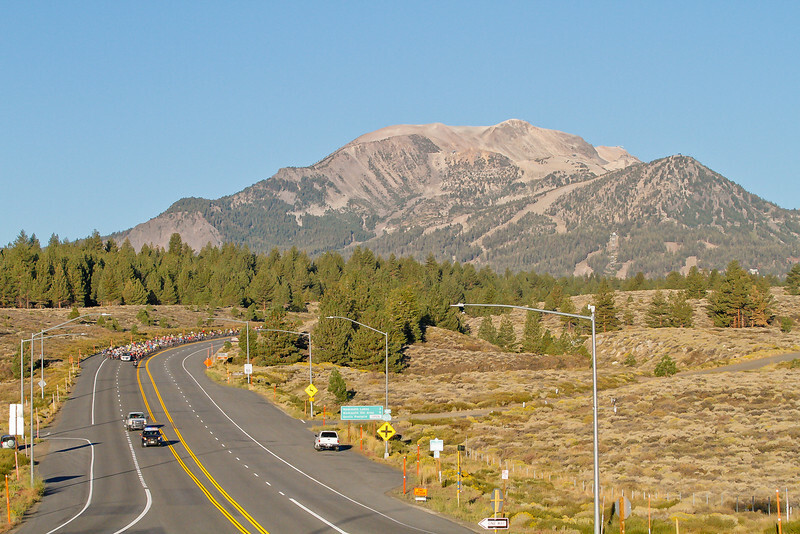 At around 8,000 feet elevation in Mammoth Lakes in September, the early morning temps hover around 40 degrees. Fortunately, at the first aid station around mile 18 there was a clothing drop where you could leave your extra layers and they would bag them with your name and number and you could pick them up at the finish at the end of the race. This worked awesome as it warmed up as the sun rose, and the rest of the day got up to around 75 degrees. Perfect cycling weather. One of my fellow riders was nice enough to grab a shot of me. During the ride, I had my iPhone in my jersey pocket. 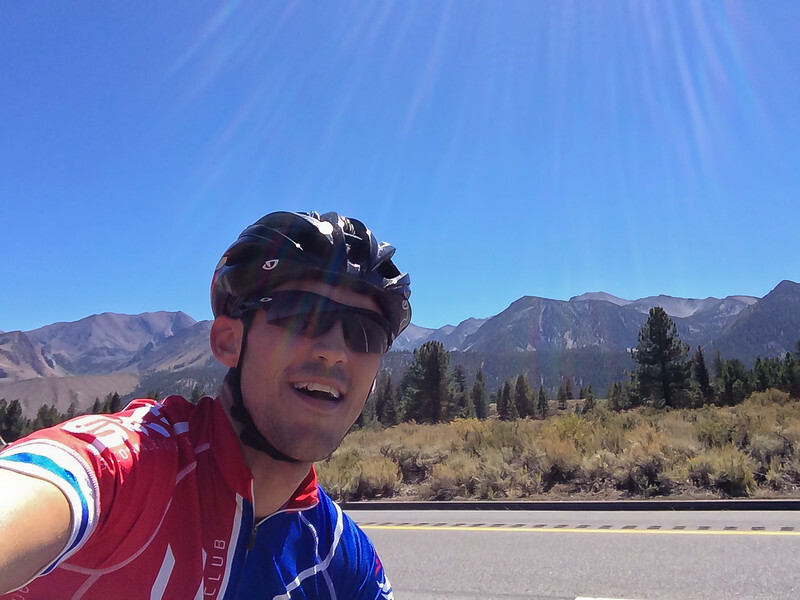 In some areas where there were not other cyclists around me (i.e., safe areas), I would pull it out while riding and take a quick picture of the ride to try and give a sense of the variety of terrain you encounter. Here, we are heading up 395 in the early morning before heading East. The CHP Units were doing a great job ensuring in this section that any cars used the outer lane. Having said that, there were virtually no cars on 395 at this hour. At about 20 miles in, you turn right on 120 heading out to Sage Hen summit and Black Lake. 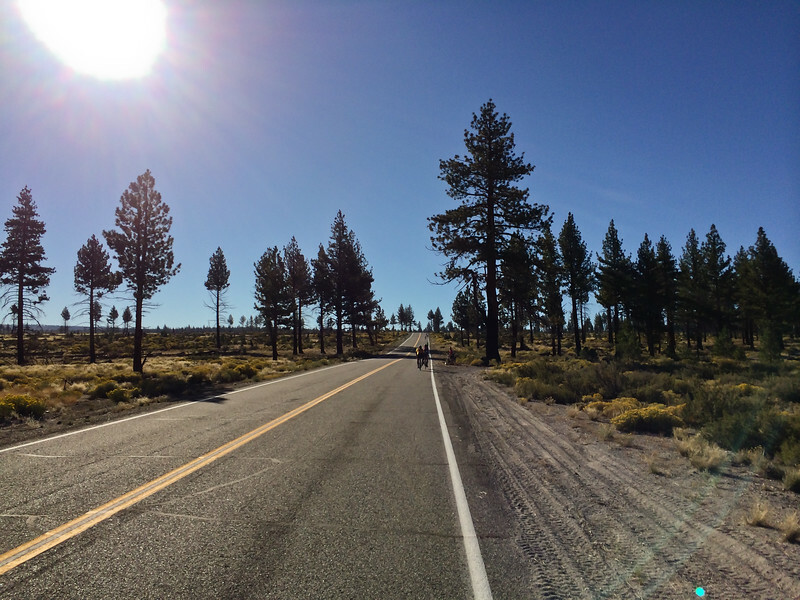 At this point, there are no cars (meaning – for the entire remainder of the day until I hit 395 again for the last 10 miles into Mammoth Lakes, I saw maybe under 10 cars max). 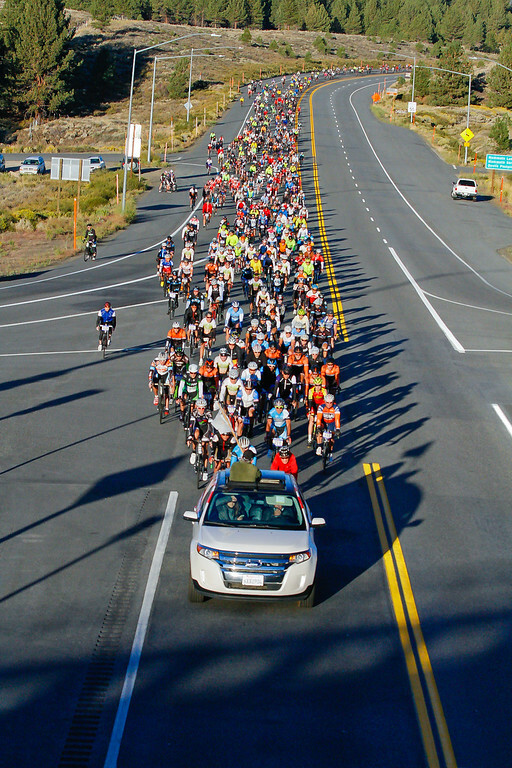 That is awesome for a Century Ride – 80 or so miles of 1 stop sign, zero traffic lights and under 10 cars! The climb up to Sage Hen is good, as it is about a 10 mile climb and a pretty gradual grade. I think it tops out just above 8,139 feet, climbing from around 6,600 feet. From Sage Hen, you have an awesome descent down to Black Lake, which is basically 20 miles of downhill descending from 8,139 feet to 6,400 feet. It is awesome, as there are some segments where you could tuck and really get going fast. During the nice flatter section to Black Lake, I linked up with a good group of five other riders and we had a great draft line going, each taking our turns pulling (as there was a pretty strong headwind at that point). We made awesome time. This shot is before I linked up with them (as I would certainly not pull my iPhone out when in a draft line! The aid stations during this ride are awesome! They are all supported by a local group (i.e., Bishop High School football) and had tons of fruit, bagels, water, sports drink, coke, pretzels, PB, and even sandwiches. They were super supportive and all of the volunteers were awesome! Here, Black Lake had the sandwich bar so I stopped for lunch. 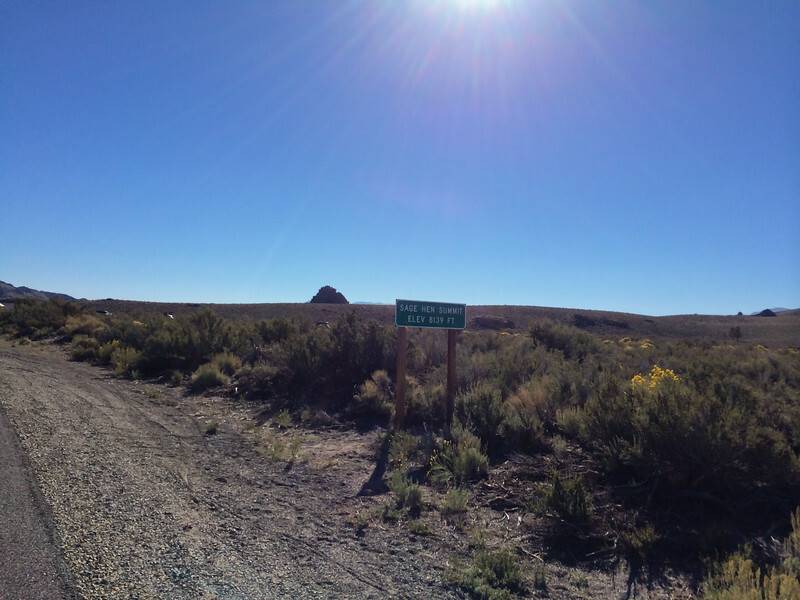 You then head West towards 395 on Benton Crossing Road, going past some great natural hot springs I have gone into in the past. It is just spectacular scenery, with the peaks of the High Sierra off in the distance. 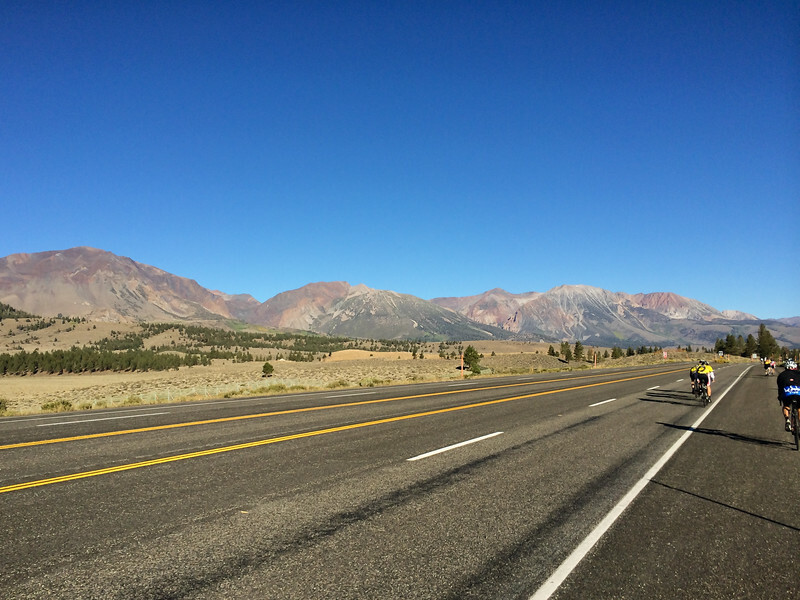 After a couple of miles on 395, you turn up towards Mammoth Lakes for a 10 mile climb to the finish line. Here, I was pretty happy to be finishing up. All in all, it was an AWESOME ride. I want to try and get my Dad to come out and do this with me one year, and definitely need to get more of my friends to join the ride too. I highly recommend this event.